Having a LinkedIn Company page can build your brand by creating awareness of your products and services as well as showcasing specific offerings. A company page offers a myriad of benefits if done correctly and can hurt your reputation when neglected or left incomplete. 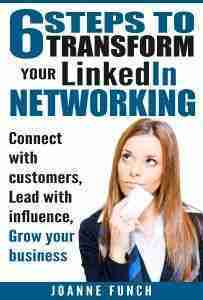 By involving your audience you can build your LinkedIn company page. You want it to be sufficiently engaging to stand out from others. Ask your LinkedIn followers by thoughtful questions. Don’t forget to maintain a two-way conversation by responding back to each one who leaves a comment on your Company Page. • Create a sponsored update which highlights your post in the newsfeed of LinkedIn members. You can target your update by specific criteria. This is a form of paid advertising that is effective because it is so targeted. They may be shared further to connections of a member who likes, comments, or shares the sponsored update. • Create a showcase page – this type of page allows you to extend your Company Page presence by creating a dedicated child page for those aspects of your business. 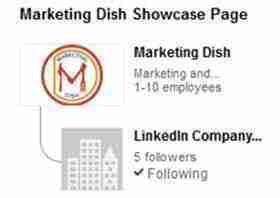 Interested members can then follow your Showcase Page as they follow any Company Page. • Share your showcase page with it’s own link. The format of a Showcase Page URL is as follows: linkedin.com/company/[showcase_page_name] Here is an example of my showcase page: http://www.linkedin.com/company/social-media-strategy-session. • Empower employees to be your best advocates! By training employees to have complete profiles that best represent your company and train them to be content producers you can get results similar to that of expensive creative teams. You simply need a planned strategy that everyone is familiar with. Need help with your company page and strategy? I can help – click for details on how to improve your professional profile as being in the LinkedIn Top 10 Company pages. Take your positive thoughts about getting this done and move into action. Gain the benefits of a professional who can help you set realistic goals and we can achieve it together. You can keep simple by engaging my skills and experience. I am passionate to help you reach your potential on LinkedIn. Call 951-902-3263. Or book a LinkedIn Company Training. Implementation to make your company page stand out on Linkedin and Top LinkedIn services for large to small comanies. JoAnne Funch, owner of LinkedIn for Business: knows how build a company page on LinkedIn and how to optimize LinkedIn company pages.